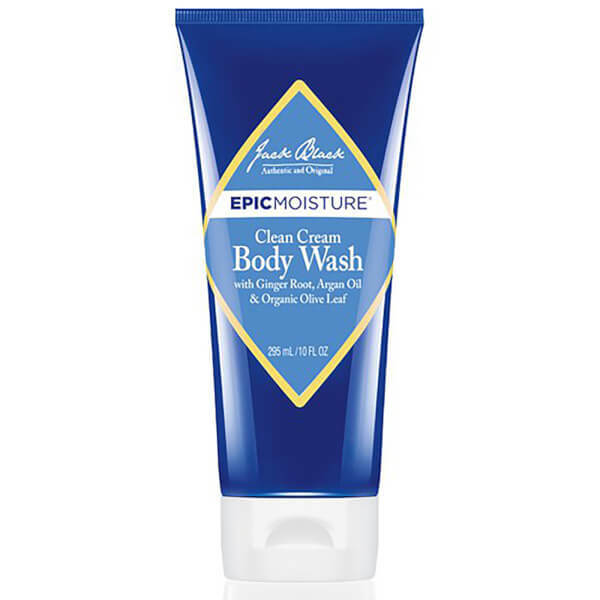 Invigorate and deeply cleanse with the Clean Cream Body Wash from Jack Black's EpicMoisture™ collection. Formulated with seven antioxidant-rich natural oils, including argan, jojoba and olive fruit, the intensely hydrating cleanser removes dirt and impurities, without stripping moisture. Enriched with aloe leaf juice to soothe irritated, stressed skin, whilst ginger, verbena and lemongrass deliver a long-lasting, energising fragrance to stimulate the body and senses. E.N. To use, generously lather Epic Moisture Clean Cream on body. 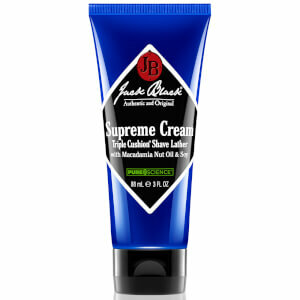 For best results, use with a netted sponge or washcloth for maximum lather. Sodium Lauroyl Methyl Isethionate, Water (aqua), Canola Oil, Sodium Chloride, Cocamidopropyl Betaine, Glycerin, Disodium Cocoamphodiacetate,sodium Methyl Cocoyl Taurate, Fragrance (parfum), Argania Spinosa (argan) Kernel Oil, Butyrospermum Parkii (shea Butter), Moringa Oleifera (moringa) Oil, Olea Europaea (olive) Fruit Oil, Simmondsia Chinensis (jojoba) Seed Oil, Zingiber Officinale (ginger) Root Oil, Helianthus Annuus (sunflower) Seed Oil*, Aloe Barbadensis (aloe Vera) Leaf Juice, Tocopherol, Bht, Limonium Gerberi Extract, Rosmarinus Officinalis (rosemary) Leaf Extract*, Camellia Sinensis (green Tea) Leaf Extract*, Olea Europaea (olive) Leaf Extract*, Inula Crithmoide Flower/leaf Extract, Cocamide Mipa, Tetrahexyldecyl Ascorbate, Tocopheryl Acetate, Caprylic/capric Triglyceride, Cyamopsis Tetragonoloba (guar) Gum,guar Hydroxypropyltrimonium Chloride, Cetyl Alcohol, Caprylyl Glycol, Citric Acid, Coconut Acid, Ethylhexylglycerin, Hexylene Glycol, Dihydroxypropyltrimonium Chloride, Sodium Hydroxide, Butylene Glycol, Sodium Borate, Glyceryl Stearate, Peg-100 Stearate, Phenoxyethanol*Certified Organic.